Is it a bird? Is it a plane? No it’s Streamr as Blockchain API Provider at IATA Hakcathon in Lapland. (Logo design courtesy of IATA). 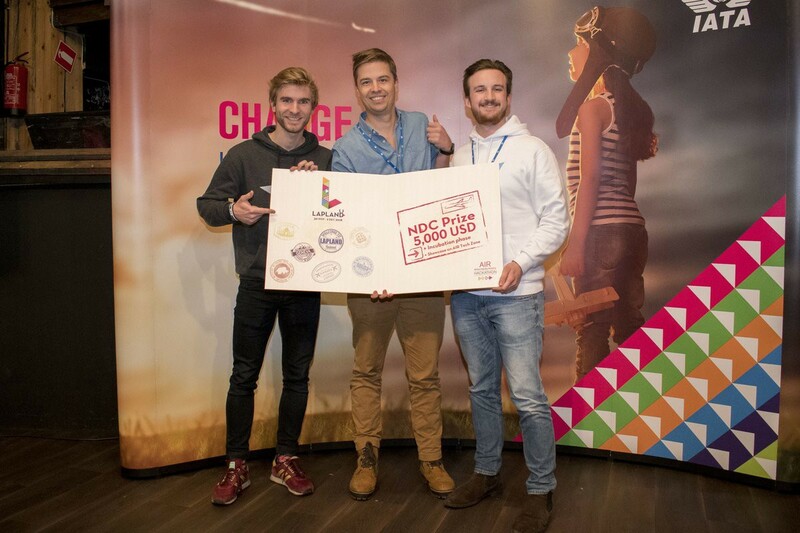 Over this last weekend (30 Nov — 2 Dec) Streamr was invited to contribute to a hackathon organized by the International Air Transportation Association (aka IATA), in Lapland, which focused primarily on airline retail industry. Streamr was the sole blockchain API provider at this hackathon and we think that said a lot about our award-winning Marketplace, great Visual Editor tools and vision for our decentralized pub/sub real-time data Network. There were a total of 18 teams who participated at the IATA hackathon, divided into two groups: corporate and non-corporate. Developers came from three different continents and for the first time ever, Finnair had an all-female hackathon team. Participants could follow one of the two tracks set: New Distribution Capabilities (NDC) and Blockchain. Below is a quick outline of each track. This track focused on how to enhance the passenger experience through wider flexibility of offers while creating value for both airlines and travelers. For example, teams could create dynamic packages based on user preferences, travel history and display offers factoring in market conditions and basic demographic data. Dynamically personalized offers may include, for example, in-flight WiFi, in-flight menu, aisle seat, extra legroom, priority boarding, extra luggage, lounge access, fast track, airport transfer and more. Eric, Ben and Jarno in Lapland in December. Ben clearly isn’t cold enough. Below were some of the use cases that had the possibility of being addressed by integrating Ethereum smart contracting capabilities within the airline industry. Streamr offered its API solution to handle large volume real-time data streams, the ability to monitor events on Ethereum and easily interact with smart contracts via event triggers. Our drag & drop Visual Editor, with the data Engine, was very well perceived as it allowed very quick prototyping of ideas and abstracted many complex data/blockchain layers. Mitigate passenger overbooking issues by writing assigned seats to a public blockchain. Write order confirmations into smart contracts and execute any breach-of-contract conditions automatically (e.g. refunds due to flight cancellation). Persist the maintenance lifecycle of aircraft parts onto a blockchain to facilitate data sharing and increase transparency. In case of passenger overbooking, establish an auction (blind/ Vickery auction?) mechanism to provide an incentive to passengers to get compensation and change their flight. Create an airline industry-specific marketplace for exchangeable assets, e.g. stowage space. Bring the concept of blockchain games (e.g. CryptoKitties) to the airline world! Before the event, we hosted a live webinar demonstrating our “Cold Chain Monitoring” use case to interested participants and airline members. 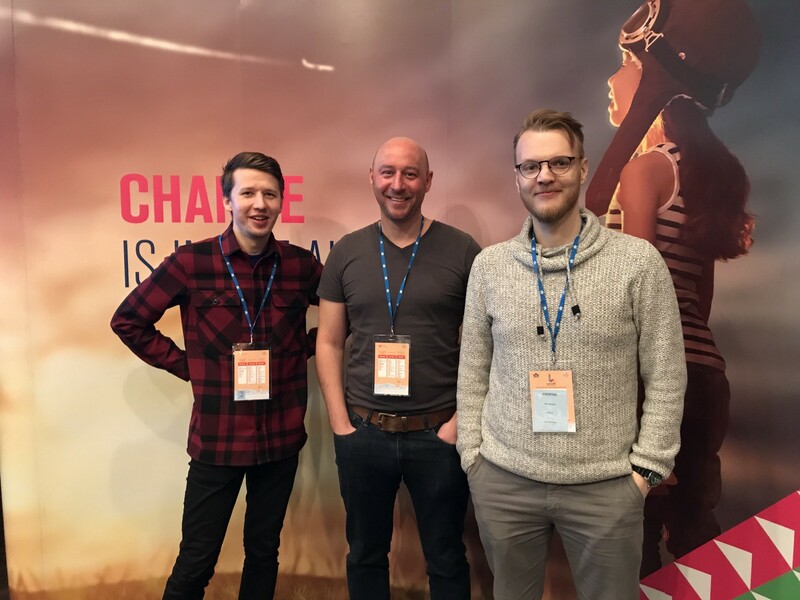 Two of our developers, Eric and Jarno, together with Ben from the Partnerships team attended the hackathon in person to provide technical guidance and get in touch with airline members. From the corporate perspective, there was good perception of blockchain technology overall and juries were keenly interested in the practicality of choosing blockchain to solve a specific problem. Around four teams tried to integrate Streamr stacks within their projects, out of which three ended up utilising Streamr for their demo during the hackathon. Below are the winners of Blockchain (they used Streamr!) and NDC tracks respectively. If you’re in London on the 18th of Dec and want to know more about this or anything else, come visit us for our Community Christmas get together!